No, the television star from the 70s hit, Happy Days, Anson Williams wasn’t from the class of 1968 — he was in the class of ’67 at Burbank High. Back then he was known as Anson Heimlick, and indeed, he was related to Dr. Henry Heimlich, who was famous for treating choking victims. 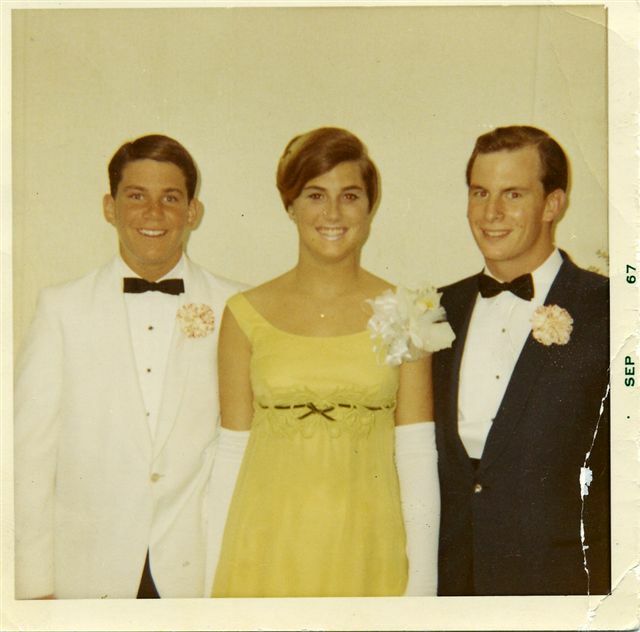 1967 Prom photo of "Potsie" (Anson Williams) with Karen Kunert '68 and Scott Roberts '67. Perhaps one of those quality BHS experiences happened at the 1967 Senior Prom, attended by Karen Kunert in our class . She went to the Senior Prom with Scott Roberts (’67) and had this photo taken with Anson Williams. It was unfortunately cropped for the Centennial book, so she wanted to share it with everyone. 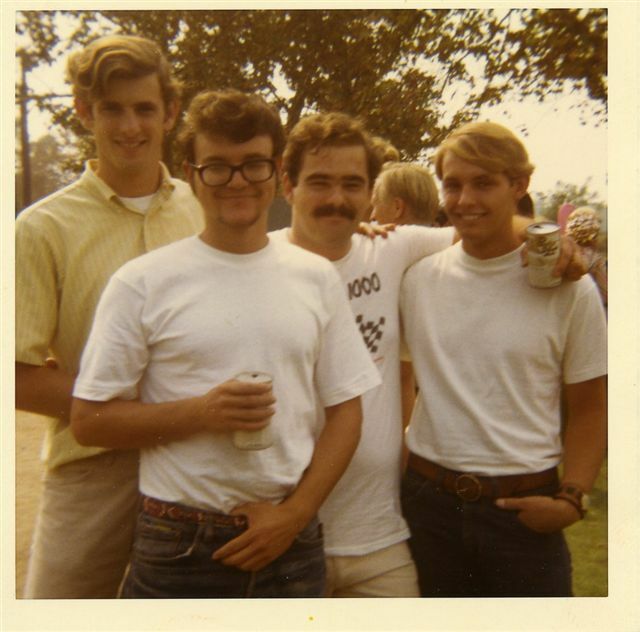 Jim Ranshaw (left) is shown with other Burbank High alums at St. Joseph's Hospital. Jim Ranshaw says that Karen’s mother was the neighborhood barber who cut all the kids’ hair in a large, converted closet at her home. She only charged 50¢ and when they got a little older, Jim says they all could get a glass of draught beer from her tap for 25¢! She cut Jim’s hair all through college until his wife, Patti, took over. Karen and Jim both once worked at St. Joseph’s Hospital in the kitchen — Jim worked as a pot washer and Karen worked on the food line. Other BHS grads who worked at the hospital included Steve McMichael, Jim Hannon, Gary Helmer, and Pat Reynish. Posted by Katherine Crosier on January 5, 2012 in Burbank High School and tagged Anson Williams, Gary Helmer, Happy Days, Jim Hannon, Jim Ranshaw, Karen Kunert, Pat Reynish, Senior Prom, Steve McMichael. Love this blog Kathy. Thank you. I also worked at St. Joseph’s for 3 years in my 20’s. My first year was in the Business Office and the last 2 were in radiology. So looking forward to our 50th reunion. Hoping that we might have a 45th???? ?